What's up with rich kids having all of the coolest beds? Yeah, I'm jealous, so what. When is it my turn to sleep under a large AT-AT and dream about taking one down in my snowspeeder? Oh well. 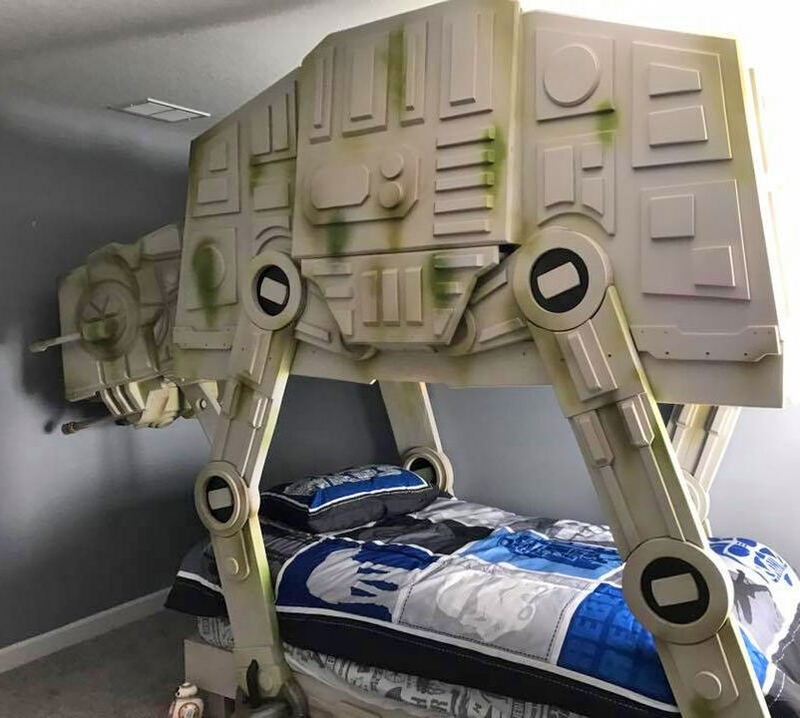 Anyway, this AT-AT Walker bed is just too awesome. You're just going to want to make sure it's properly installed and doesn't fall on some poor (yet filthy rich) child. 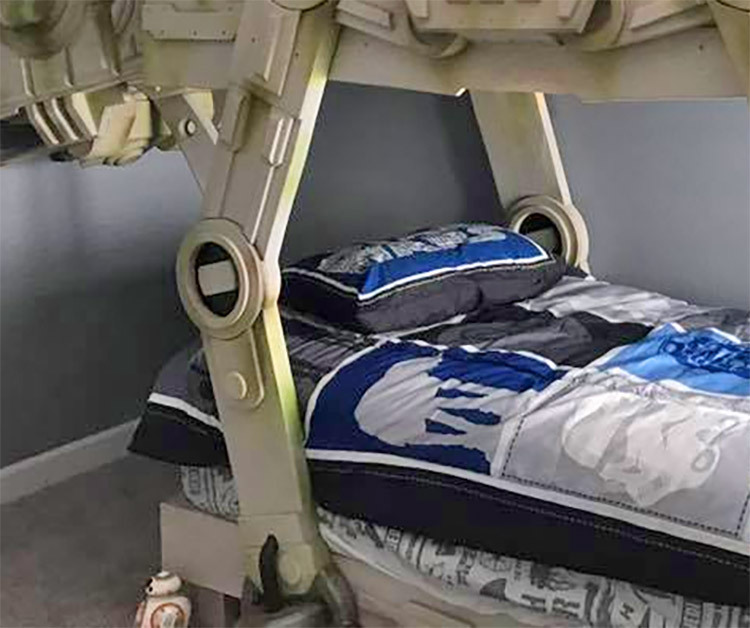 The giant Star Wars At-At bed is made by a company called Tiny Town Studios, which you'll have to inquire with them for purchasing details. They have a bunch of other incredible giant beds for kids like a castle bed, a sea boat bed, a Disney's Frozen bed, a pirate ship bed, and more which you can check out here. 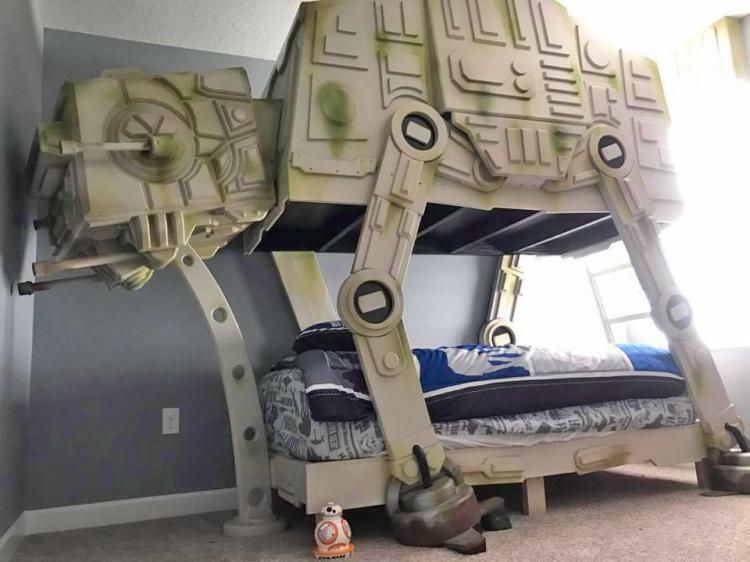 There isn't much info on this bed, but it looks like the giant AT-AT walker fits around the bed like a frame, with either a bunk bed or a little fort area on the second level within the body of the At-At. Though if it doesn't, this is a huge missed opportunity. 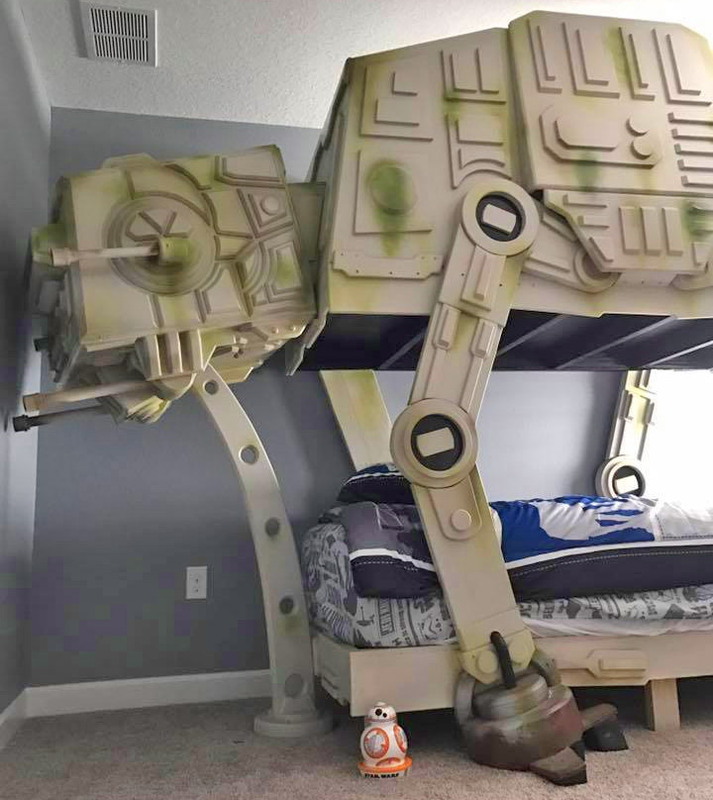 The giant AT-At walker bed frame is huge, but that's okay because the mansions where this bed will most likely end up, have large stately rooms that can fit practically anything in. Yes, I'm jealous. But I'll try to keep my rage to myself. 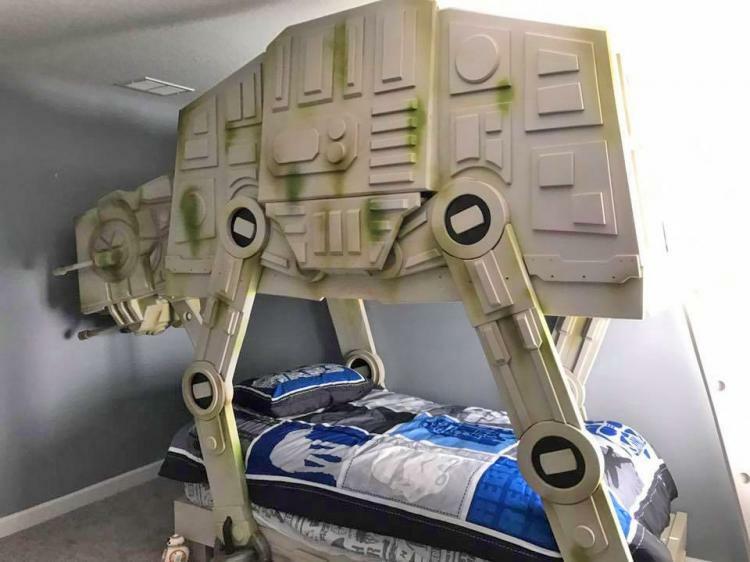 Naturally, you want some Star Wars bedding to complete the scene. But if you're rich, just go ahead and put up some Star Wars wallpaper too, along with a Death Star disco ball and invite some of the actors over, without inviting me. No, seriously, it's cool. I was busy with other activities anyway, like not being rich and spoiled. 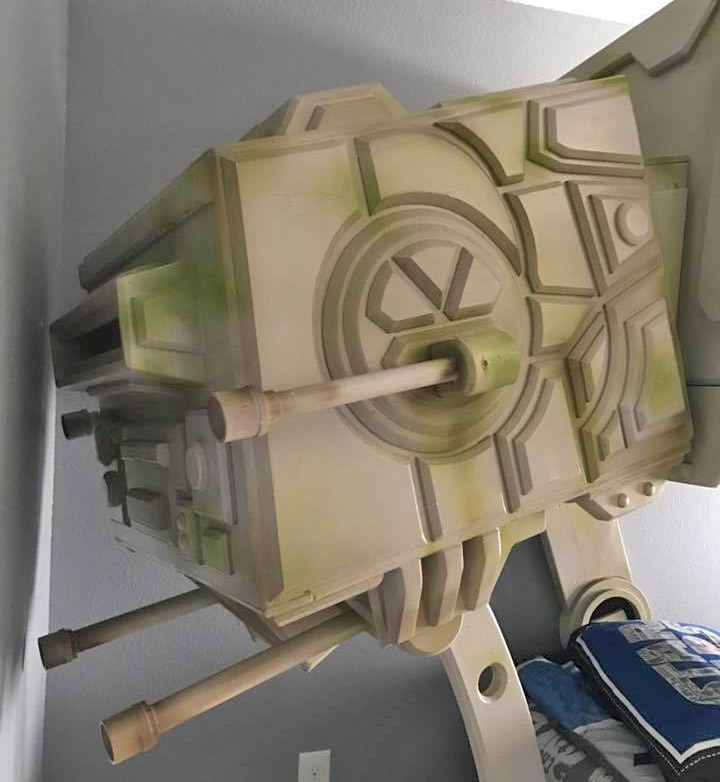 The giant Star Wars At-At Walker bunk bed is extremely detailed so it looks extremely realistic and just like the real thing you'd see in the movie. 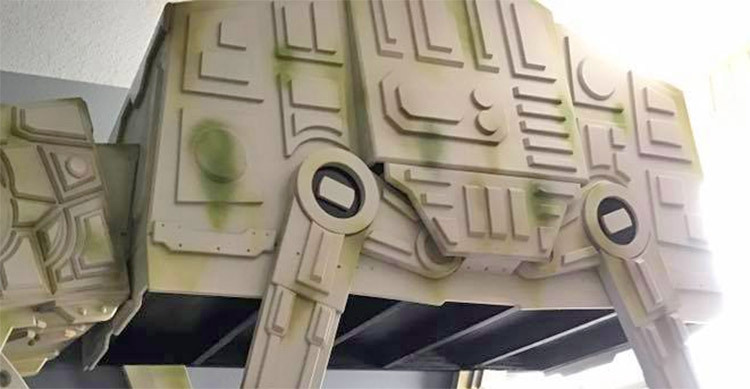 Plus there's extra detail that makes it look worn like it's seen its share of battles. The only problem I see is finding a bedroom that it will fit inside of. Plus there's no word on if this is a one-off unique bed, or if it's mass produced. I'm sure shipping this thing across the country might just double the price. All of these details you'll have to figure out for yourself by contacting the company that actually makes the bed.